Should you have a plan B, an alternate plan, if you decide to go for it and chase a new dream? Absolutely YES. But there are a few things to think about. If you have a low risk tolerance, transition slowly. Start taking small steps toward your dream, seeking to get some small wins that prove to yourself that your approach works and the opportunity is real. Once you get any results at all, and you feel confident that giving it 100% of your time and focus will be as rewarding as whatever you’re doing now, go for it! Start planning and executing your transition. Set a date to quit your current activities and start your dream full time. Use the time between now and then to research, learn, build the foundation and develop the required skills. Be multi-passionate: Don’t fall into the false belief that you must do just one thing. Living in today’s global and mobile society, where we’re blessed to have more opportunities and we all live longer, you are not limited to one career or life choice. The idea that you can only have one profession is a thing of the past. In this lifetime you can strive for and achieve multiple dreams or careers. Leverage others to minimize the risk. Read, research, follow, and interview others who have achieved what you are seeking. Get mentors, enroll in online courses, attend seminars, walk in others’ footsteps. However, if you plan on doing something that no one has ever done before–which is highly unlikely–then plan very carefully. Make sure you have a plan B — know what you would do if the idea fails. Transition slowly and carefully while having a backup job that you can use to maintain your current lifestyle. Commit. No matter what you do in life, commit to it. It doesn’t mean it has to be “full-time,” but it does mean full mental and emotional focus when you are doing it. 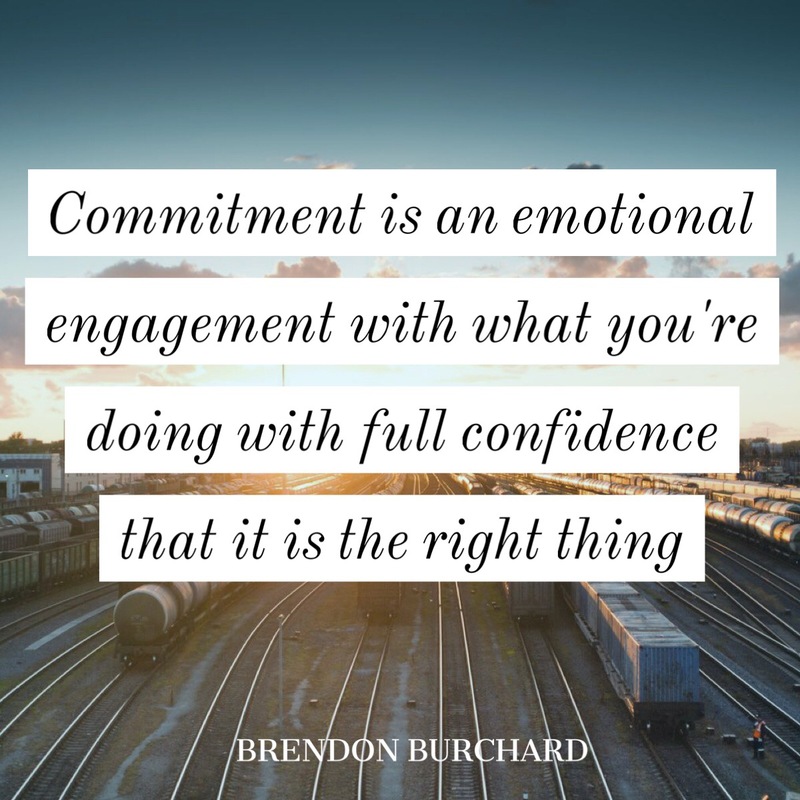 Commitment is deep emotional engagement, a focus and intensity that says this matters to me. If you’ve given your full energy to whatever you do, you’ll be happy regardless of whether something works out. Put full intense focus into whatever you do and you’ll feel what we call, #TheChargedLife. And the answer is, “Absolutely yes” but I have a little bit of warning and a little bit of, just ways to think through you chasing your new dream. Now, we all have our certain levels of risk-tolerance in our life. Maybe, you’ve been in your life, that person who just goes for everything right up, automatically, easily. You believe in yourself. You go out there and you crush it every single time. So you have a very high risk tolerance. Most people actually, aren’t built that way or they’ve been conditioned not to be that way. So, you might have to think through it a little bit more at a complex level. That’s what we’re going to talk about in this episode. First and foremost, if you have a new dream and you want to go chase it, the answer is, “Yes, go chase it.” Now, it just comes down to timing and tact. The timing in which you go decide to go do that and the tact in which you leave the old thing to be able to go do that thing. I will share with you that was my own personal story for a little while. I had a corporate job. I left grad school and I started doing consulting work for major Fortune 500 companies and I was doing great. I had a great job at a great company. Everything was really, really great, but in my heart, I wanted to do this work. I wanted to write a book and do speeches and shoot videos and do online courses for you guys, do seminars and that was kind of an industry that was just growing at the time and it was scary. There wasn’t a lot of mentors. There wasn’t a clear path of how to do that. There was some online marketers out there teaching some stuff but it was kind of all over the place and I was scared, and I had to make this decision. “Do I just quit my corporate job and jump all in, put all my eggs in that basket?” Huge risk. And my advice to everybody is always transition slowly. It might not be your style but let me talk you through what I mean by that. First and foremost, if you’re going to make a transition, do it slowly. First piece of advice, transition slowly. The way that I did it is, in this new dream, this new opportunity, I made about 20% of my income at my old corporate job before I made the full leap. Meaning, I was taking action towards it. I was actually doing the dream, kind of part time on the side as a hobby. And I got just enough income to say, “You know what? This thing, if I gave my full time to it, maybe I couldn’t make a 100% of my corporate work but maybe if I can make 30% of it or even 50% of it one day, at least I’d be happier over here. Even if I’m earning 50% less; at least, I’ve proven the model a little bit” and that’s important. I really believe, before you throw all your eggs in one basket, you should prove the model a little bit. Try it, do it on the side, see how it goes and if you’re getting any results at all, then it’s time to plan a full transition. 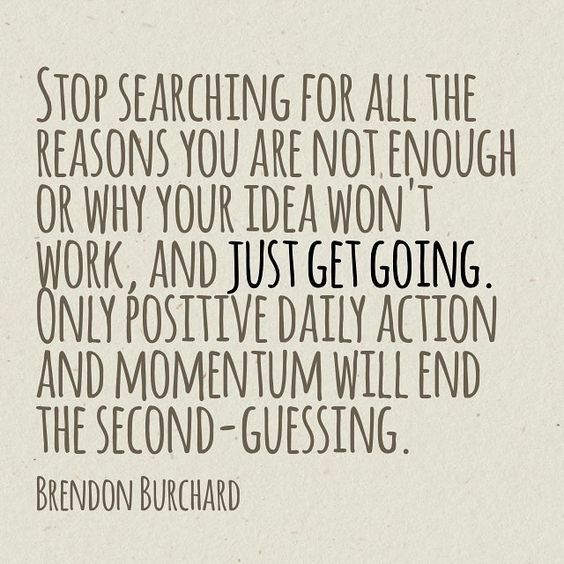 B: You just have a time and you set yourself on a path to get ready for that. That’s the way I like to think about it and that way, it is responsible either way that you go because you’re at least in it and you’re preparing. I would also say, it’s really important after you assess your risk and you figure your transition time, I think it is absolutely critical, you don’t fall to this false belief that is in our world now that you have to do just one thing. Look around the world now. You’ve got these creatives doing multiple things. I do lots of things and, while it looks very narrow and focused, the skillset that I’ve developed has helped me become better at what I do by doing lots of different things. I really believe that whole idea that you have to do one thing that came out of an old agrarian culture where, when you were growing up, back in the day when you would only live until like 27 years old; you had to choose your career. You were either the blacksmith or the baker and you had to choose that and that’s all you did for your short life because that’s all the village required. Well now, the village is global. The world is flat. We can all do tons of things and I say, if you’re passionate about lots of things, be a multi-passionate. Be that person. Just play like life is short. Engage in your interests. Do the things that you care about. Don’t believe you have to do just one job 9 to 5. I think that world is gone away a little bit. If, for you, putting all eggs in one basket, one new career, one new opportunity, feels like it’s going to steal away from your drive, your heart, your passions; then I’m like, “No, do a bunch of your passions part time. That’s cool too.” It’s like the Portlandia episode where young people go to retire. Where you could do a lot of different things and still have joy in your life. The only I can tell people is, risk is really something that you would assess based on essentially: Has someone done it before and do you have the skillsets, talents or joys in doing it? If you are going to go do something no one’s ever done before, take a little bit longer to plan. Have your plan B, working your job. Plan a little bit longer. Move towards it steadily but if no one’s ever done it before, there’s no path. You don’t know what to do. It’s going to take a little bit longer. So yeah, hold on to the job. Yeah, hold on to what you are doing. Just long enough so you can at least pay your bills, live in some kind of comfort versus being out there completely broke because you know what? It’s hard to build from bankruptcy and that’s where I was. I remember, when I first left my corporate job, started doing this, started going pretty well. I had but 20% of the income, jumped in full, just went for it. And quickly, went bankrupt because I didn’t know what I was doing. But am I happy that I did it? Have somebody that’s done it before. Read how they did it. Interview them. Ask them how they did it. Ask them to mentor you, to walk you through it. Enroll in their course, go to their seminar; whatever you got to do, you can learn from somebody who has already been there and done that. Go to the conferences, get in the game of understanding it first. Until you’ve done your research, done your homework and at least have a sense of the plan or the process to succeeding, don’t jump. Get those first. That way, you can meet your obligations, take care of yourself, live in some kind of comfort; at least have some income and then do it. But I want to end with this. 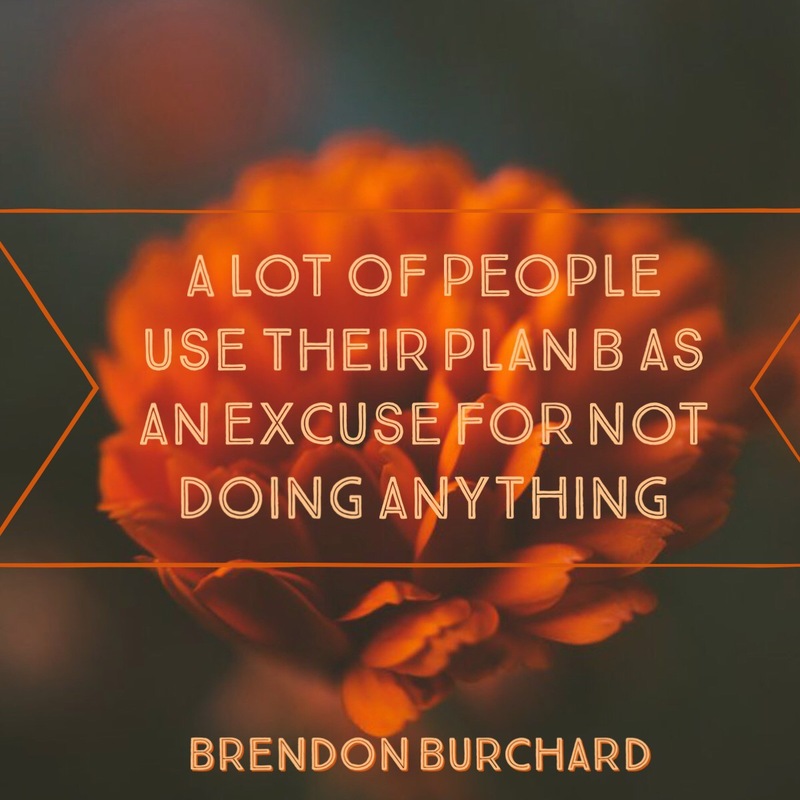 No matter what you decide—whether you’re doing partially plan B, you have a backup plan, have a backup job or doing something else or you’re really going for something new—whatever you do in your life and no matter how many things you’re doing in your life, commit to it. That’s the answer. 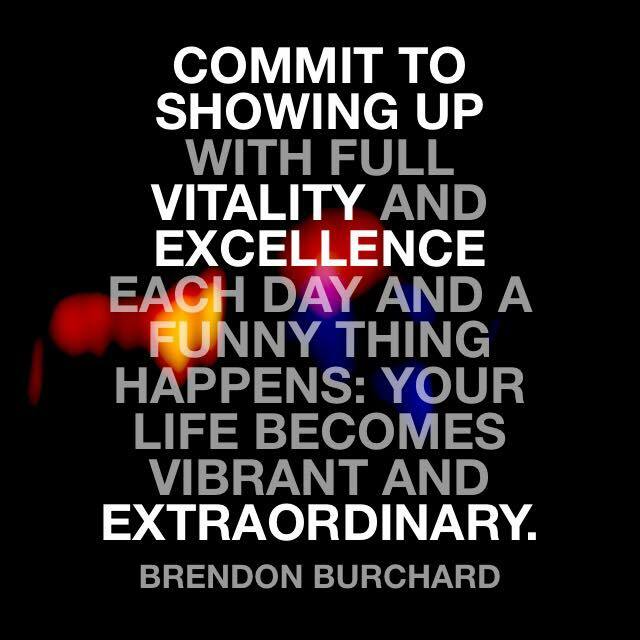 Commit to it in whatever way. You don’t be like, “Well, I guess I’ll play with it for 20 minutes.” No, if you are going to do it for an hour a day, do it for an hour a day. Even if you have 4 different things you’re doing, 4 different passions, 4 different opportunities you’re chasing; I don’t care, okay. Each one, give it 2 hours—full intense focus—boom, boom, boom. You just continue to falter. You got to fully commit emotionally into everything that you are doing and as you do that, you start to have so much more vibrancy in your life because you are like, “You know what? I’m not half-assing. I’m in this thing.” And you got to give yourself that. You got to give yourself that and in this thing. And once you do that, guess what? You will find what your real thing is, because if you are fully committed to something and you are in it and it’s just not working and it’s a slog and you’re just like, “This isn’t connecting with me. I don’t feel this.” Then at least you gave it. At least you gave it all. But if it’s a passion or a dream and it is multiple and you are doing full commitment in this with your emotions, full commitment in this with your emotions, and you are vibrant in both, then do both. Don’t feel like you ever have to be a single, narrow human being. There’s too many opportunities today. There’s too many great things. You have too many diverse interests that engage you and excite you. Give yourself that ability to focus on a lot of different things in your life. But whatever you do, commit to each and you will start to feel what we call, #theChargedLife.